Diabetes Mellitus is one of the common diseases affecting mankind throughout the world. With early detection and proper management, more and more diabetics can have normal active life. This book, written by an experienced Physician Dr. U. Rama Rao, M.B.B.S., D.C.H., guides the diabetics and prediabetics to proper management of their disease. The author, with his vast experience in the field of medicine for about thirty years and with the experience of having written a number of medical articles and books, has given a compact view on Diabetes Mellitus in a simple language. 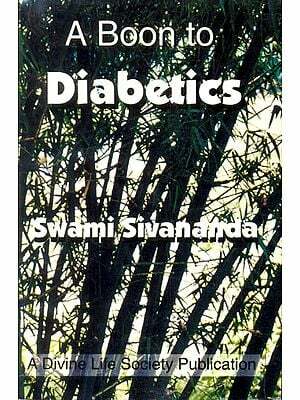 This book contains all the basic fundamentals which every diabetic should know. The author has highlightened the basic principles in diet and also in preventing delaying the onset of diabetes. I am overwhelmed by the enthuslasm shown by my readers in giving their valuable appreciations and criticisms. In this edition, I have made the subject, Diabetes, up to date. Diabetes Mellitus is one of the common diseases at present. With the advancement of scientific technology it is possible to predict or detect early stages of Diabetes. With increased awareness, increased population and increased longevity of the life, the increase in the incidence of this disease is manifold. Though a diagnosis of Diabetes depresses the individual, he need not feel depressed and the solution is in his own hands. If he is careful with diet, exercise, drugs and infections, he can have an active normal life. This book is mainly meant for lay public and hope this will clear many of their doubts on a complicated disease – Diabetes. Advancement in medicine is fast and I have kept this book upto – date as far as possible. Diabetes mellitus is one of the ancient diseases. As early as 400 B.C., our Indian physician, Susruta has described this disease as ‘Madhu Meh’, the honey urine disease. At present it is commonly known as ‘Sugar in Urine’. In olden days it was also known as melting of flesh’. In Greek Diabetes’ means ‘to siphon through’ and in Latin, ‘mellitus means ‘honey’. In early days, diagnosis was made by tasting urine. The sweetness is caused by presence of sugar (glucose) in the urine. This disease has been known to ancient Indian. Greek, Chinese and Arabic physicians. Important breakthrough in understanding of diabetes occurred with demonstration of sugar in urine by Dr. Dobson in 1775 and its subsequent identification as glucose by Chevreul in 1815 in diabetic urine and development of urine sugar tests by Fehling in 1850. In 1869, Pal Langerhans discovered that islet cells of Pancreas were responsible for productionof insulin. In honour of this scientists these islets go by the name of Islets of Langerhans. In 1889, Mering And Minkowsky induced diabetes in a dog by removing its pancreas. Important mile-stone in the history of diabetes is the discover of Insulin by Canadian doctors Banting and Best in the year 1921, at Macleod’s laboratory in Toronto and in the year 1922, they were honoured with Noble Prize for this epoch making discovery. The pioneering work on oral pills was done by Loubatiers in France in 1944 and later other oral drugs were discovered. With all these achievements in the past, the present diabetic can almost have normal life-span with usual activities, if he has a watch on his diet, exercise, medicine and hygience. 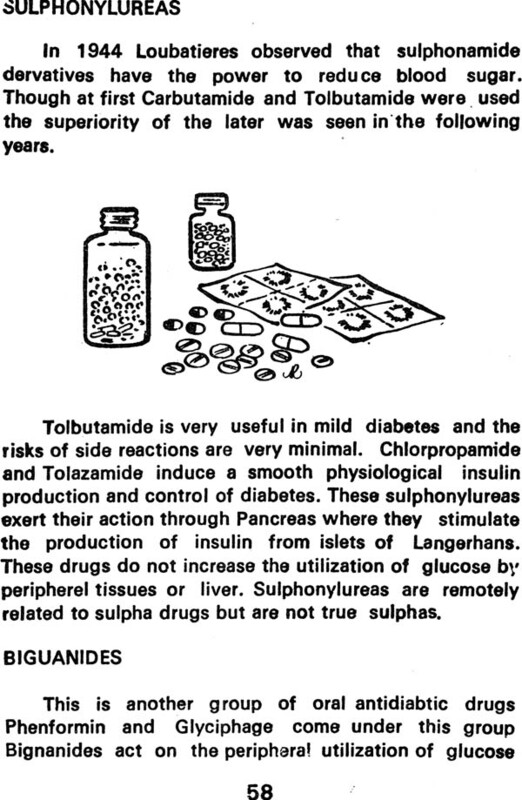 Before the advent of insulin and oral anti-diabetic drugs the mortality was more and was usually due to diabetic coma. But now with modern medicines the longevity has increased and deaths are usually due to complications, especially of vascular origin. At present chief cause of death among diabetics with onset at young age or childhood is due to diabetic nephropathy and in adults (above 30 years) It is due to coronary artery dieases. It is unusual to develop diabetes after the age of 60 years and slight sugar in urine at this stage may be due to old age and exhaustion. About 2.5% of population of India is affected by diabetes. Undetected and potential cases are as high as 10% Diabetes ranks seventh among the cause of death. There are about sixty million diabetics in this world and out of which ten million are in our country. About 1.1% of diabetics in India are of less than 15 years of age. Diabetes is the fourth leading cause of death in America and affects more than ten million Americans of whom more than a million patients are insulin-dependent. It is also the leading cause of blindness in all Western Countries. There are more than 6,00,000 diabetics in U.K.